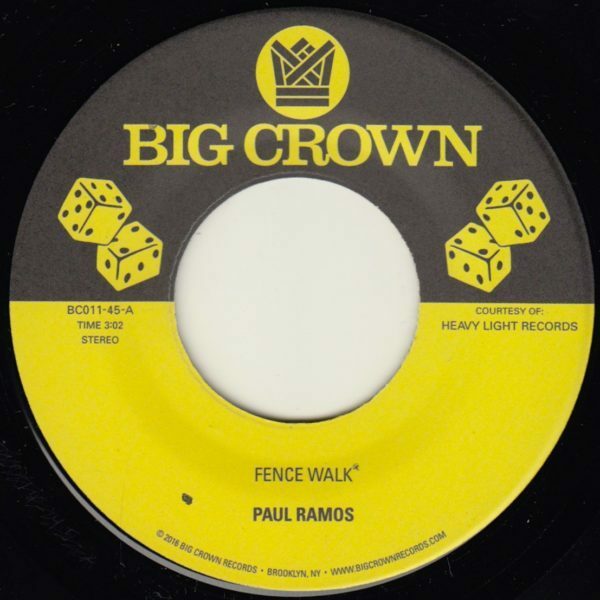 The A side is Paul Ramos version of the Mandrill classic “Fence Walk”. Originally released on the Harlem label, and later licensed to Falcon only to oddly appear on their Kris Bravo LP. Ramos stays close to the original, but adds enough to the tune to make it a must have for funk collectors. The B side “Funky Resurgence” comes by way of vibes player/bandleader Ulysses Crockett who was a stalwart on the Bay Area scene of the 1960’s first with his Latin Jazz group Afro Blue Persuasion and later Ulysses Crockett Magic. He also played in The Skins w/ the legendary Bill Graham. “Funky Resurgence” was one of several compositions he wrote for the 1971 play “Resurgence.” During this period, Ulysses was also going through law school and he remains a legal voice, writer and activist in the Bay Area.